The Radiology Department at Swisher Memorial Hospital provides many advanced medical imaging services including: Diagnostic Imaging, Computed Tomography, Magnetic Resonance Imaging, Ultrasound, Mammography, EKG. In order to provide equal employment and advanced opportunities to all individuals, employment decisions at Swisher Memorial Hospital will be based on merit, qualifications, and abilities. 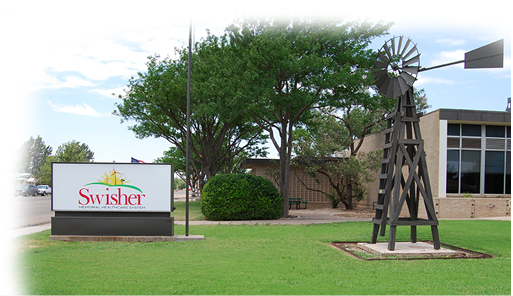 Swisher Memorial Healthcare System provides superior health care services to the patients we serve. Our 20 bed inpatient facility is fully staffed and offers acute medical care for patients of all ages. We provide Swing Bed services for patients requiring rehabilitation, IV therapy or other skilled services.